I remember riding sleds as just a boy with my father and uncle. They would go on adult rides and leave my cousin and myself at the cabin with the rest of the kids. Once we were strong enough to start the 1989 Arctic Cat Pantera 440 we started riding it around the cabin while they were gone. I got hooked on riding during those early year riding with my dad. As we grew they started inviting us on the adult rides and then in Jr. High my dad would pull me out of school from time to time to go on rides with him and would let me bring friends along. That's where I started riding with Aaron Case who quickly became my favorite riding buddy. We would push each other and shared a passion for the sport that our other friends didn't. Still some of my fondest memories of riding are Aaron and I skipping school to go ride. This year I'll be riding a Polaris Axys 155 2.6. 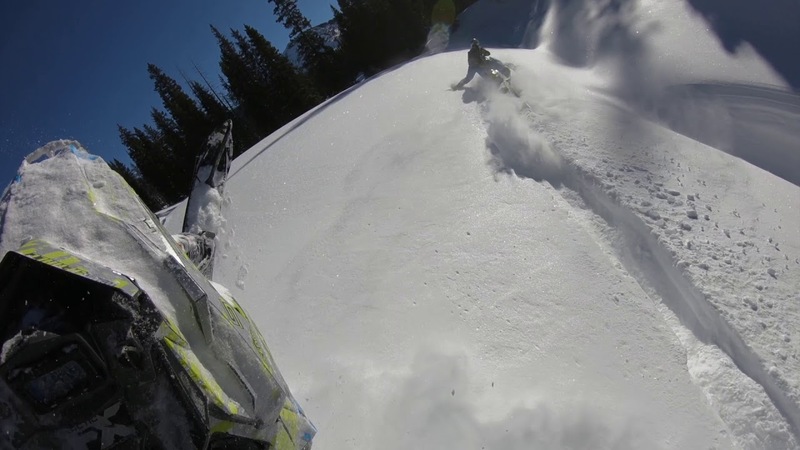 I fell in love with this sled last year and continue to be impressed with the capabilities of this chassis. Before hitting the snow the sled will be fitted with the Zbroz ARS-FX 36″ A-Arms, been running them for several years now and love the handling characteristics of the narrow front end. Last year I added the Exit shocks and will no doubt be doing the same this year. Toward the end of the 2015-16 season I worked with Boondocker and added Nitrous, I will continue to work with Boonodocker on this kit this year. I really enjoy taking photos and capturing that perfect moment while on the snow. I also enjoy taking time and getting out into the wild and grabbing photos of wildlife and the landscape. A day in the life of Ryan rarely goes as planned. Depending on the time of year I wear a variety of hats depending on what needs to happen that day. For instance during the summer I could be a plumber, welder, electrician, accountant, heavy equipment operator, or even a stay at home dad. Most days requires putting on several of those hats. During the winter I spend more of time wearing the shoes of the accountant with the occasional seat time in a truck hauling wheat. Then as often as I can I hit the hill with Aaron and Cody and the rest of the Boondockers. After trying several different careers I decided what I truly enjoyed doing was Farming. Currently I am part owner of an operation that runs roughly 1800 acres of spring wheat. This would be the reason that my day is never really planned out. Most morning I'm up at out the door by 6am and never really know when I'll be home. I enjoy spending most of my work time outdoors, raising a crop, trying new things to better improve operations and crop production. One of the big reasons I enjoy being a farmer is the fact that I have the opportunity to take my children with me to enjoy the farm and spend time with them. I remember the first time I rode with Dan Gardiner and Andrew McCarthy. Aaron called me up while I was at work and asked if there was anyway that I could get off work in the next hour to go ride with Dan Gardiner. That day we captured the cover of Boondockers aliVe. I was able to make my first appearance in that film in the bloopers towards the end and for some reason Dan has done a great job of making sure I make it in that segment in almost ever Boondocker Film since then. Luckily I've been lucky enough to ride with and become good friends with the entire Boondocker crew and hate it when I'm not able to make the trips when groups get together. I'm not sure if I have a favorite riding area. Over the last 3-4 years I've had the chance to ride many new areas and each area I have come to really enjoy and can't wait to ride there again. 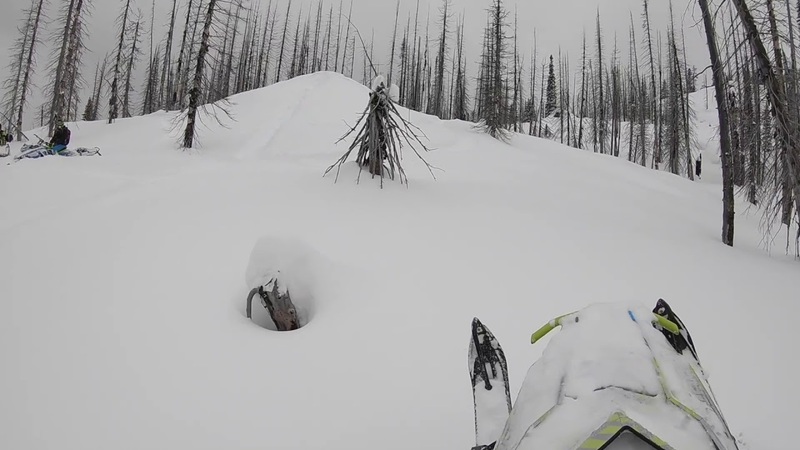 Currently I spend most my time riding the Wyoming backcountry but had the chance to ride McCall, Idaho this last winter and can't wait to go back and explore more of that terrain. Just seemed like around every corner there was a different style of terrain that offered another challenge. Its probably one of the places I will definitely ride this year. For years I would have to bum a ride to the hill from Aaron or Cody, but two years ago I picked up a Ford F350 6.7 Powerstroke. Love it, added a few mods, larger fuel tank for those long hauls, 5″ exhaust and cold air intake to help the turbo breath and SCT Tuner to eliminate the Def. One experience that Aaron and I reflect on from time to time is the time we were riding with my father and uncle. We were headed to an area we were familiar with, however they decided to try and find a new way in. This way required crossing an open creek and immediately pulling a left hand sidehill above the open creek and carrying that sidehill for distance before turning uphill slightly to a spot where it flattens out. Today it seems like nothing worth mentioning especially considering the capabilities of the sleds we are riding, but for two 14 year boys riding 1995 EXT Powder Special 580s it seemed an impossible feat. Somehow we both managed to make that maneuver. From that day Aaron and I have pushed each other to become better. The worst experience that I had while riding sleds was not the time I totaled my mom's new sled at 12 years old, or the time I totaled a good friends sled while no one was on it. It happen to be the first time I rode the Utah backcountry. 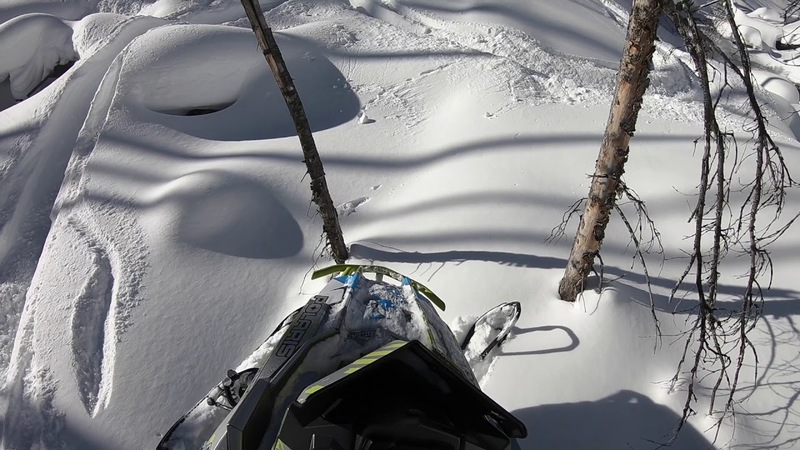 I had a co-worker who was willing to show us the backcountry and Aaron, Cody and myself couldn't pass it up. We quickly found out that the co-worker didn't quiet know the area like we expected. That wasn't the problem, being true to our nature Aaron and I started exploring and looking for terrain that we love to ride. While doing so Aaron dropped down a steep tree covered hillside and out of site. I managed to make it back up to the ridge line before Cody and my co-worker followed. After what seemed like an hour, probably only 20 mins, of no communication or even the sound of a sled I became impatient. I started walking down Aaron's track to locate him. 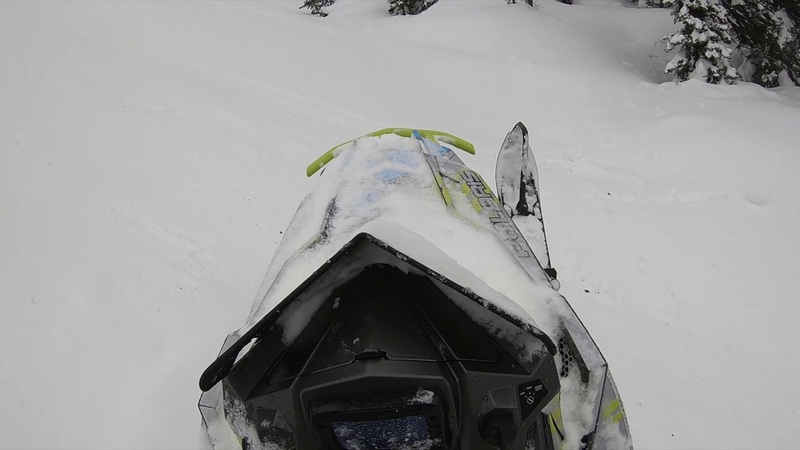 After almost reaching the bottom and no sign of Aaron just tracks in all directions I hiked back to my sled and informed Cody that if we aren't back to them before dark go get help. I decided to drop in and search for Aaron. Knowing that as long as we were together we could make it through anything. Well thats when it became the worst experience ever. Unable to locate Aaron, following track after track as Aaron tried to find a way out I soon found myself alone and struggling myself to find a way out. The area we grew up riding we knew we could always run the ravine out, this did not seem like an option as researching the terrain and knowing where the ravine ended was just a giant cliff. 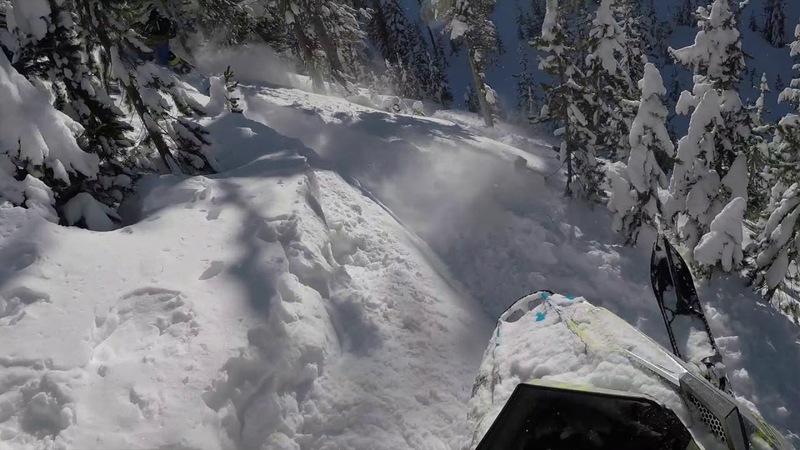 Up was the only way out and it wasn't for lack of ability, but the sled was under powered for the deep fresh snow that Utah had that day. As I sat at the bottom trying to figure out what I was going to do not knowing where Aaron was and following his tracks to where they ended and knowing there was no way I could follow, I slowly became uncomfortable and panicky. Once I calmed down I decided to find my own way out one last time. I was able to finally find a route that was actually quiet easy. I still to this day do not want to find myself in that situation again, being along with now out insight. It doesn't happen very often anymore in fact it is about as rare as seeing bigfoot it seems like, but riding with just myself and Aaron is one of my favorite things to do. My biggest accomplishment is becoming a father, and being lucky enough to now be a father to 4 amazing boys and one beautiful girl. This season I want to get back to going big. The last two years I haven't felt that I've had many good hits or drops, this year I hope the snow conditions and timing allow for some big hits. 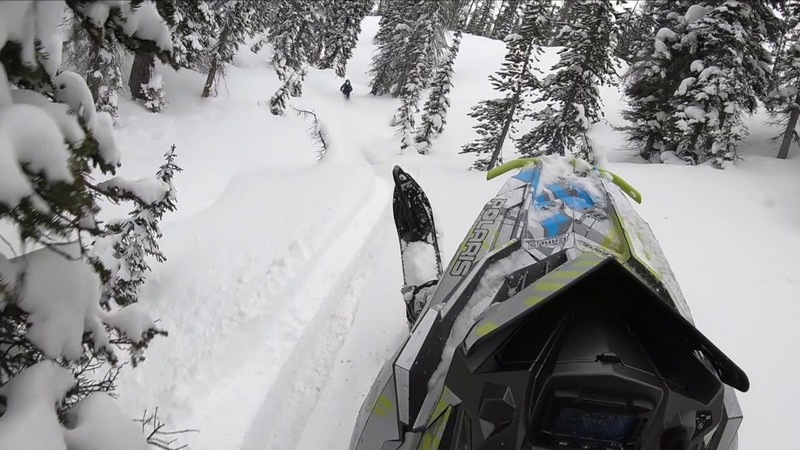 The most miles I've put on a sled in a season was around 1800 miles. Lately typical season I'll get 600-800 miles. but those miles are all quality miles. Most mile I'm put on a sled was around 3500 on the '05 M7.